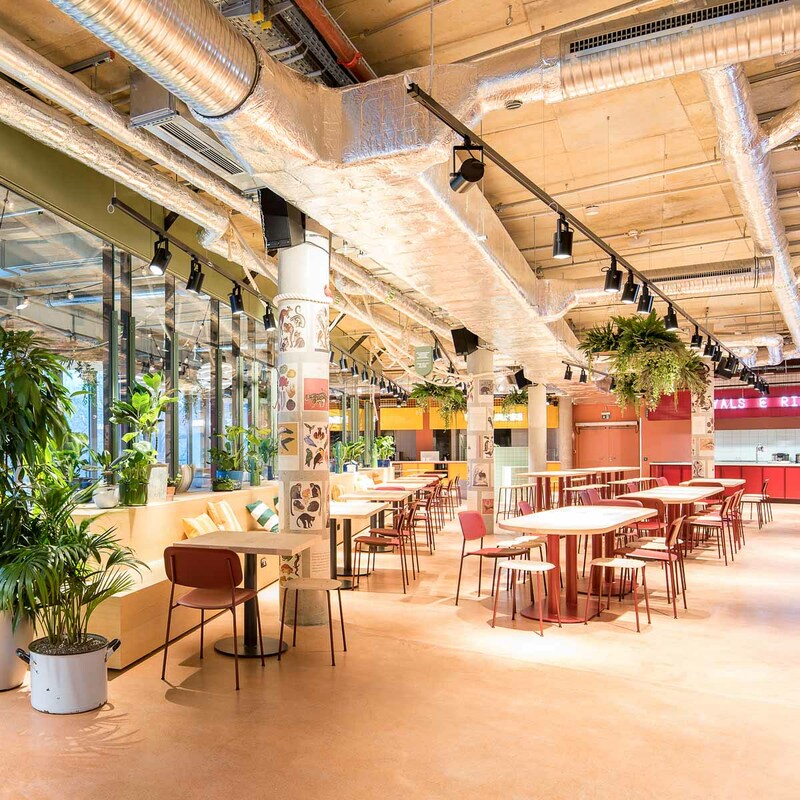 Kantini at Bikini Berlin might be one of the coolest food markets in the city. 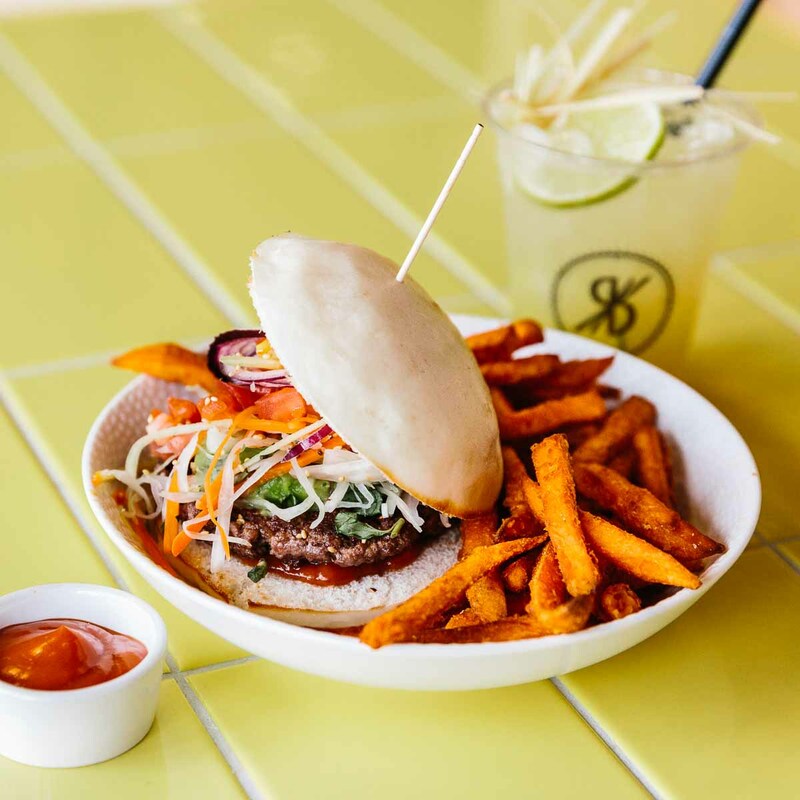 Here, over a dozen small eateries offer fine specialties from around the world. 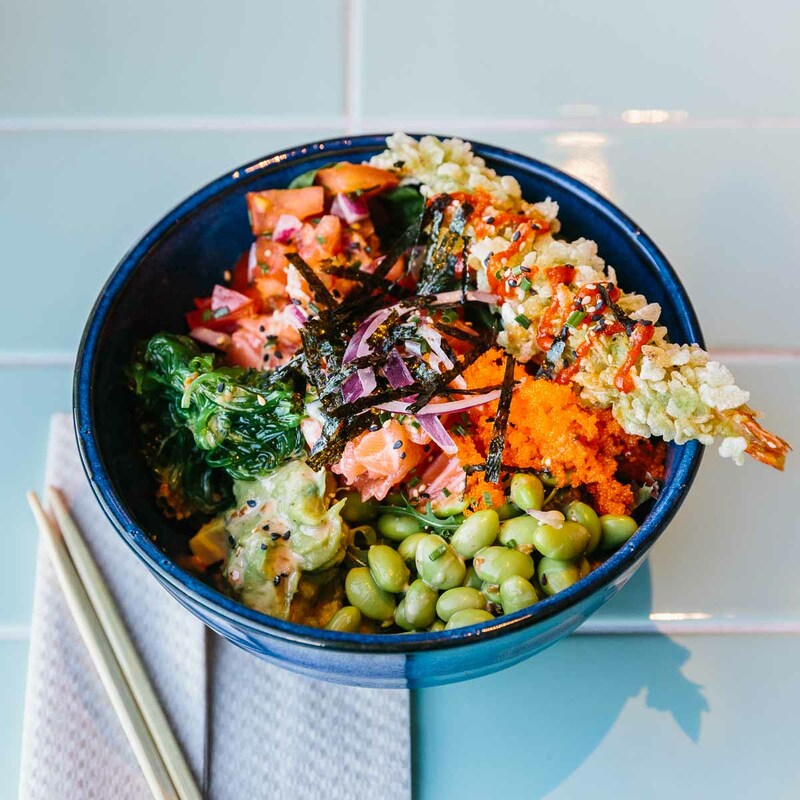 Next to classics, like pasta from Pasta Deli or fish from Fisch Club, you’ll find exotic dishes like Hawaiian “poke bowls” with vegetables, raw fish and rice at Sons of Mana, or Korean burgers, bibimbap and popcorn chicken at Bibimix. 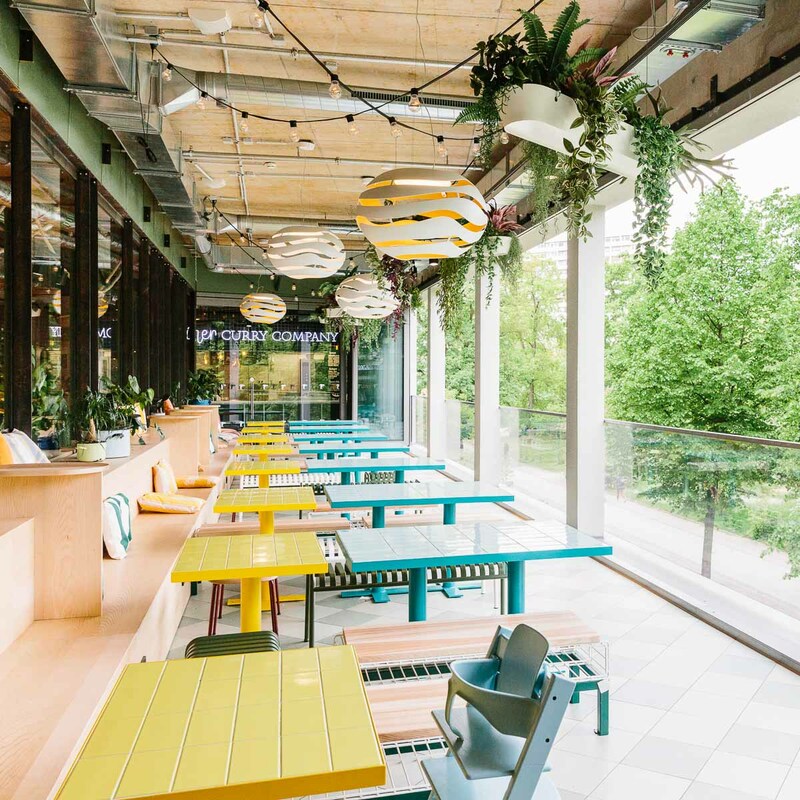 If you’re after authentic Mexican food, then you should try Chaparro’s burritos, quesadillas and tacos. 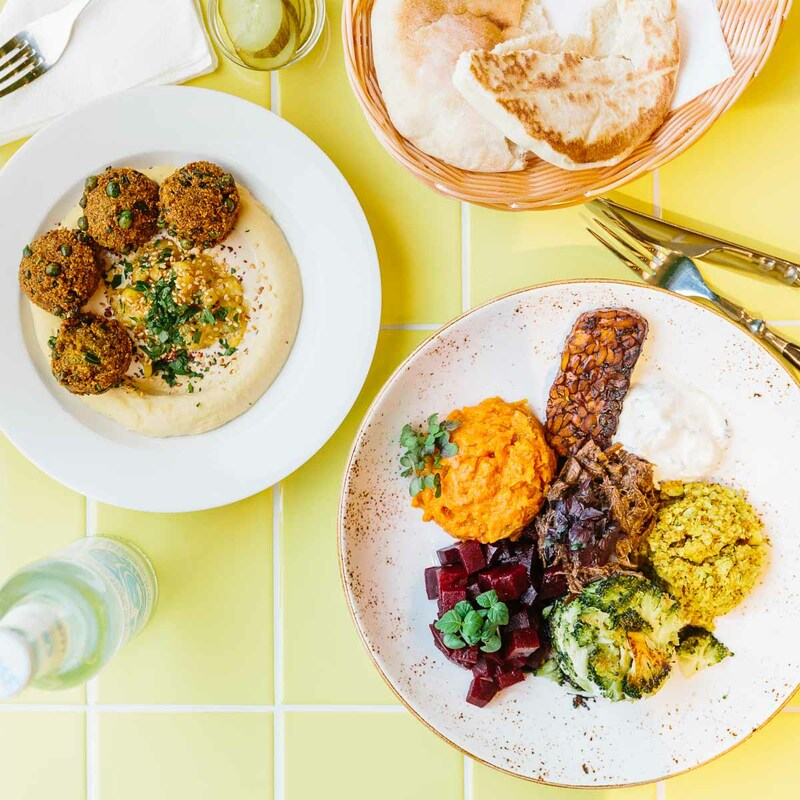 For hummus and Israeli street food, visit Djimalaya, and for traditional Spanish tapas and Indian-inspired bites go to Madrido Bar. 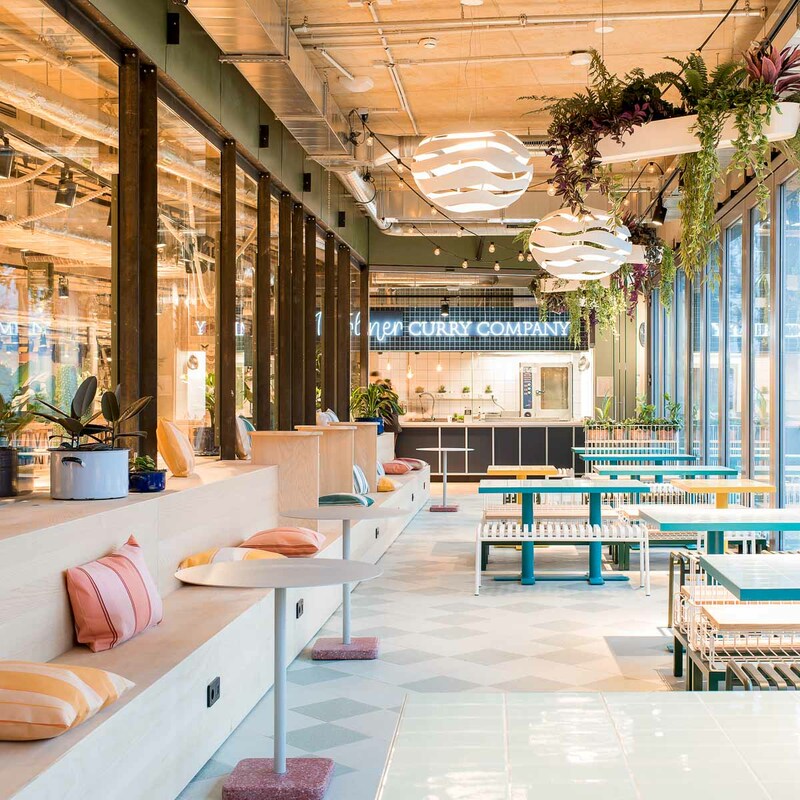 At Yuzu Ramen, it’s all about their warming Japanese noodle soups, and at Royals & Rice, a branch of the popular Mitte hotspot: Vietnamese classics. 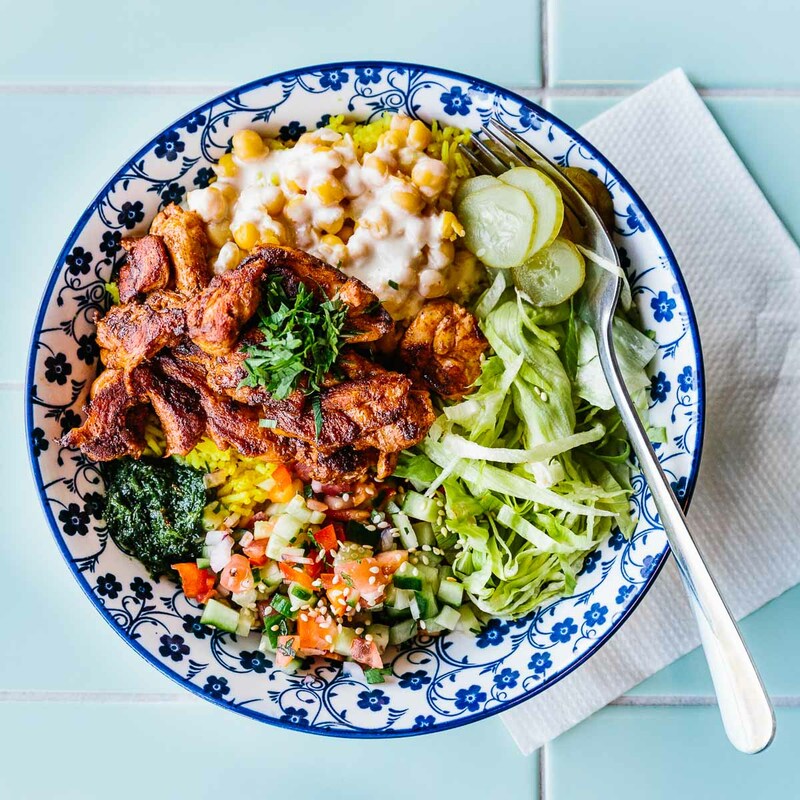 For something more on the healthy side, try Frai, where vegetarian, vegan and gluten-free favourites are prepared around nutritional concepts like clean eating, low-carb and paleo. 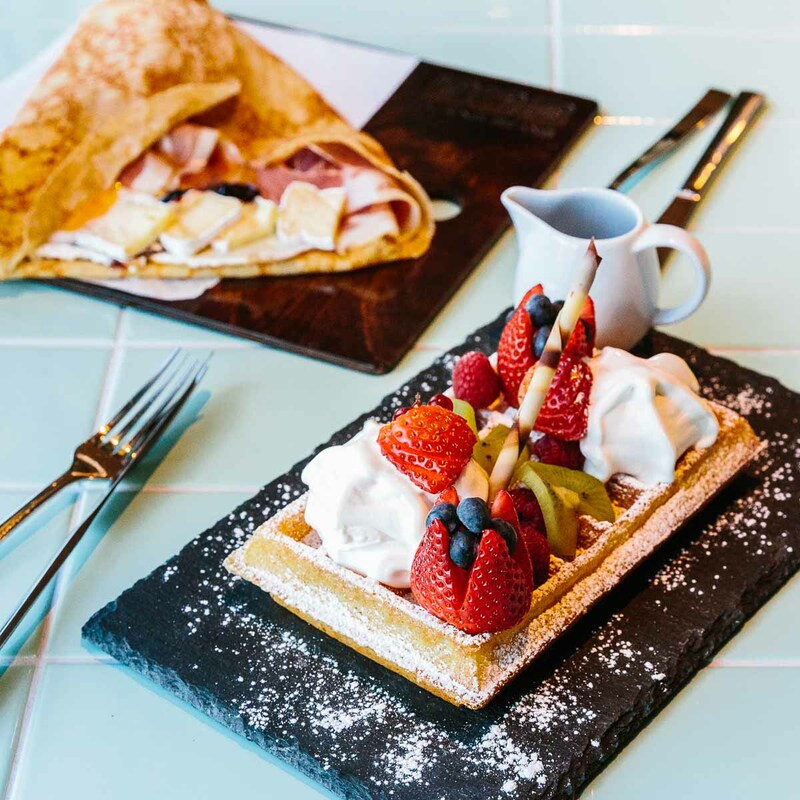 And for desserts, don’t miss Copper & Flint’s homemade ice cream served in a bubble waffle, or the South African indulgences at Talking Beans. 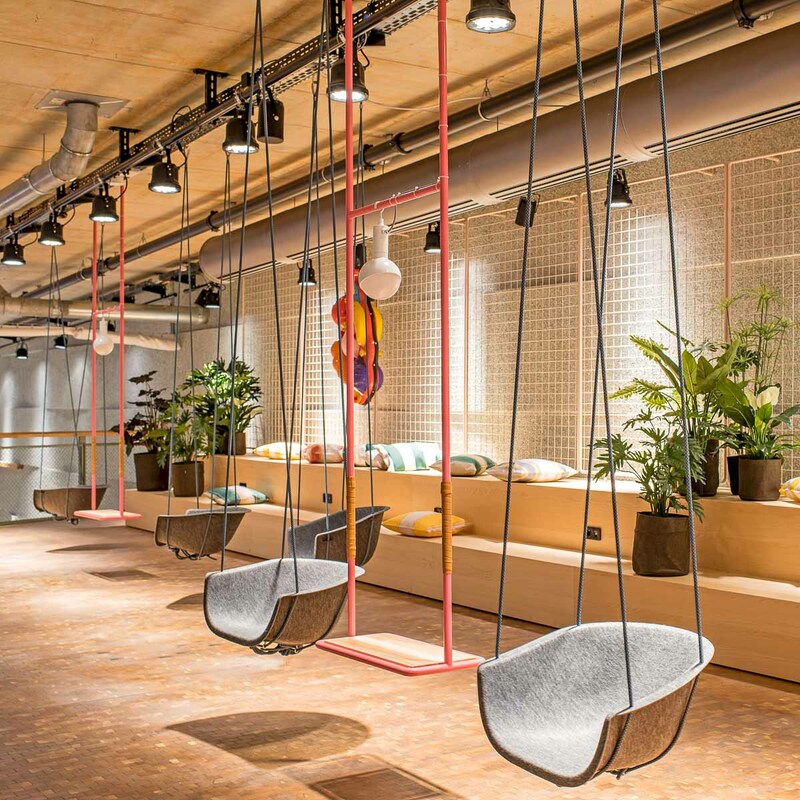 At Bikini Berlin, everything is served in a multicoloured world of vibrant furnishings and neon signage, of plants and swings, patterned pillows and wooden steps. 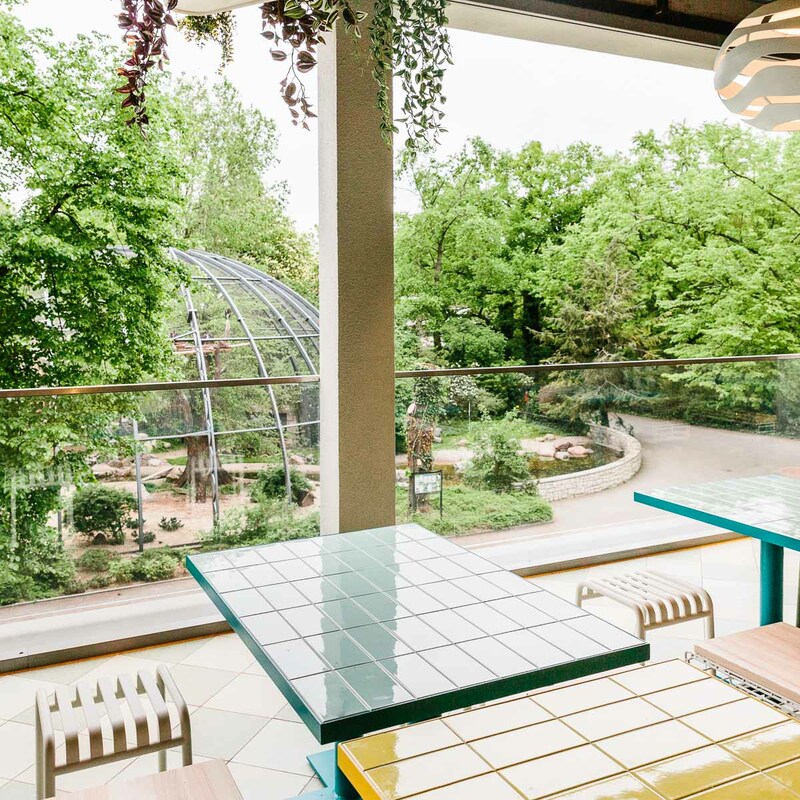 With direct views of the zoo by way of an 18-metre long panoramic windows, you’ll also find one of the most beautiful summer balconies in the city on the loggia.